The number of Americans who volunteered in 2018 jumped by almost one-quarter compared to two years ago and the volunteer rate eclipsed 30 percent of adults for the first time since data has been collected. Volunteering in America 2018, a study by the Corporation for National and Community Service (CNCS), the federal agency that oversees AmeriCorps and Senior Corps, estimates that 77.3 million people volunteered in 2017. That would be 23-percent increase compared to the 62.6 million volunteers in 2015, the last time the report was issued. Since the previous report, the overall volunteer rate increased by more than 6 percent. Based on Independent Sector’s 2017 estimate of $24.14 for the average value of a volunteer hour, the estimated value of volunteer service for the 6.9 billion volunteer hours was nearly $167 billion. The CNCS data released on Tuesday comes out the same week as a study by the Do Good Institute chronicled the decline of the volunteer rate over the past 15 years. The jump in the volunteer rate in 2017 was unprecedented in national statistics on the volunteer rate, said Nathan Dietz, associate research scholar at the Do Good Institute of the University of Maryland School of Public Policy. “We’re in such early stages of trying to get to the bottom” of why there was such a big change between 2015 and 2017, he said “I don’t think we really know much until we get a closer look at the data,” he said. 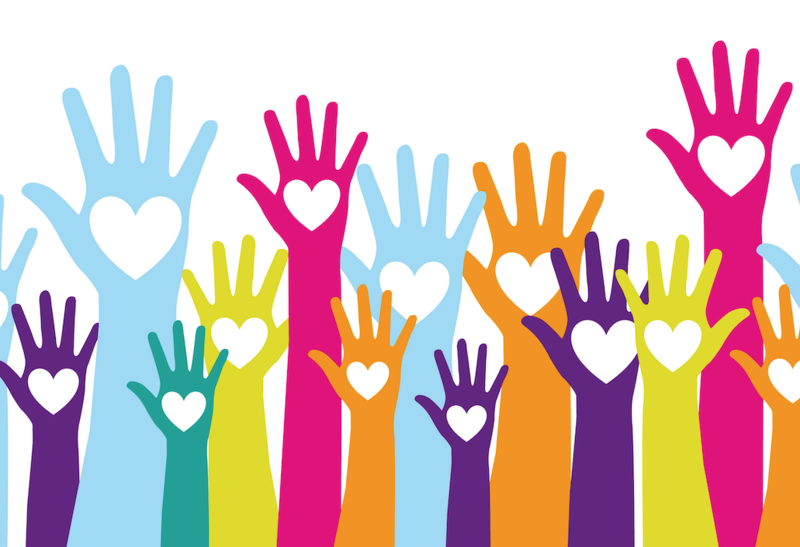 The Do Good Institute released its own study, chronicling the decline in volunteers and volunteer rates over the past decade or more. The study, “Where Are America’s Volunteers? A Look at America’s Widespread Decline in Volunteering in Cities and States,” was co-authored by Dietz with Robert Grimm, the Levenson Family Chair in Philanthropy and Nonprofit Leadership and director of Do Good Institute. It used historical data from CNCS studies on volunteering. The national volunteer rate bottomed out at a 15-year low of 24.9 percent in 2015. It reached a historical peak of 28.8 percent from 2003 to 2005 before its first significant decline in 2006, falling to 26.7 percent. Thirty-one states experienced “significant declines” in volunteering between 2004 and 2015 while not one state saw an increase in volunteering over that time. As part of a revised survey and process, CNCS data now will be released every two years, according to Samantha Jo Warfield, a spokeswoman for the CNCS. The new report combined the volunteer and civic supplements, which previously were done separately, with volunteer done every year and civic done every. While the revised survey instrument might have had some impact, Warfield said the questions and collection method are the same, she said, so they’re confident in comparing the two reports. The Millennial generation — born between about 1980 and 1995 — is projected to outnumber Baby Boomers by next year to become the largest living adult generation, according to Pew Research. And many are now entering a key philanthropic stage of their lives, with the oldest approaching 40 and starting families. The median rate among states, including D.C., was Massachusetts at 32.6 percent. The volunteer rate among females was 33.8 percent compared with 26.5 percent for males. There were 44.614 million female volunteers, about 57 percent of the overall total. They contributed 3.9 billion hours of service, with an estimated total value of $94.5 billion. There were 32.77 million male volunteers, about 42 percent of the total, who contributed about 3 billion hours of service for an estimate value of $72.4 billion. Volunteers donated to charity at twice the rate of non-volunteers. More than half of all citizens (52.2 percent) donated to charity last year. Parents volunteer at rates nearly 48 percent higher than non-parents, at 39.9 percent and totaling more than 26 million volunteers. Working mothers give more time than any other demographic, with a volunteer rate of 46.7 percent. Veterans volunteer at a rate of 30 percent, at more than 5.65 million total, with veterans in New Hampshire and Virginia volunteering more than in other states. Data for the CNC report are collected through a supplement to the Current Population Survey (CPS): the Civic Engagement and Volunteering Supplement. The CPS is a monthly survey of about 60,000 households, or about 100,000 adults, conducted by the Census Bureau on behalf of the Bureau of Labor Statistics. Selected supplements collect data on the volunteering, voting, and civic activities of adults age 16 and older. Volunteers are considered individuals who performed unpaid volunteer activities through or for an organization at any point during the 12-month period, Sept. 1 of the prior year through the survey week in September. Millions more Americans are supporting friends and family (43.1 percent) and doing favors for their neighbors (51.4 percent), suggesting that many are engaged in acts of “informal volunteering,” according to CNCS. Americans most frequently gave their time to religious groups, 32 percent, and more than a quarter (25.7 percent) volunteered most often with sports or arts groups; another one in five supported education or youth service groups.